“21 days goes very quickly. Negotiations with Democrats will start immediately. Will not be easy to make a deal, both parties very dug in,” he tweeted. “The case for National Security has been greatly enhanced by what has been happening at the Border & through dialogue. “We will build the Wall!” he added. Trump signed a short-term spending bill Friday night reopening the government, which has been partially shut down for 35 days in a fight over Trump’s demand for $5.7 billion in funding for the border wall. Democrats had balked at that number, instead offering $1.3 billion for more general border security. Trump had announced that he would sign such a bill earlier Friday, and Congress passed the measure hours later, sending it to Trump’s desk. 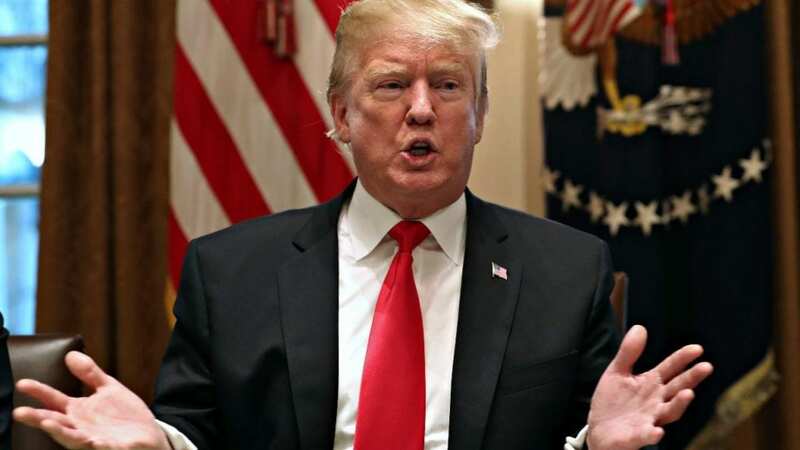 Trump said Friday that he wanted negotiations for border security to continue ahead of the Feb. 15 deadline, and threatened to use the “very powerful weapon” of declaring a national emergency if negotiations came to naught. That move would give him extra powers to build the wall via executive power. Trump has floated the idea of a national emergency before, something that would receive opposition from Democrats and some Republicans. But some Republicans backed Trump Friday, noting that he has agreed a week earlier to extensions of protections for illegal immigrants who came to the country as children and those from unsafe countries. Sen. Lindsey Graham, R-S.C., told Fox News Friday that Trump had made concessions, and that if Democrats won’t negotiate then Trump would be right to declare a national emergency. “Here’s what I think come February 15th, if the Democrats still say ‘Go to hell on the wall you get a dollar. That’s it.’ They basically tell Trump ‘I’m not going to do with you what I did with Bush and Obama’ then I hope he will go the emergency route. We don’t need to shut the government down.” he said. However, prospects for a deal looked bleak. Senate Minority Leader Chuck Schumer, D-N.Y. said Friday that Democrats “remain fully against a wall” but also said that Democrats would approach the negotiations in good faith. On Friday, Trump spent much of an address in a Rose Garden talking about the dangers that illegal immigration poses, namely the influx of drugs and criminals into the country. On Saturday morning, Trump was back to issuing those warnings, particularly about a caravan of migrants heading toward the border. “If we had a powerful Wall, they wouldn’t even try to make the long and dangerous journey. Build the Wall and Crime will Fall!” he tweeted. Fox News’ Elizabeth Zwirz and Brooke Singman contributed to this report.